Administrative Law Judge (ALJ) Rebecca Freie, from the Office of Administrative Hearings (OAH), State of California, heard this matter on October 15 through 16, 2013, in Sunnyvale, California. Father represented Student. Mother was present for much of the hearing. Student did not attend the hearing. Attorney Rod Levin represented Cupertino Union School District (District). Jennifer Keicher, Special Education Director for the District, was present throughout the hearing as the District’s representative. 1 For the record, Student’s closing argument is designated as Student’s Exhibit S-15, and the District’s closing argument is designated as District’s Exhibit D-12. 2 The issue has been slightly reworded from the prehearing conference (PHC) for clarity. 3 Student clarified during the PHC that no other aspect of the District’s offer is at issue in this proceeding, including, but not limited to, related services such as a one-to-one aide or therapy services. In a letter on or about July 24, 2013? As a proposed resolution, Student requests placement at one of two nonpublic schools (NPSs). 1. Student is an eleven-year-old boy who currently resides with Parents within the geographical boundaries of the District. Student moved into the District in 2010, and is eligible for special education as a student with autistic-like behaviors. Student was diagnosed with regressive autism when he was two or three years old. 2. There have been three previous due process hearings before OAH between these parties, which resulted in three separate Decisions. The most recent matters before OAH were the consolidated cases of Parents, on Behalf of Student, v. Cupertino Joint Union School District, OAH case numbers 2013040122 and 2013030785. The consolidated hearing was conducted by ALJ Margaret Broussard, who issued a Decision on July 15, 2013. Some of the Factual Findings in that Decision, particularly those related to the background of this case, are restated in this Decision. Neither party presented any evidence contrary to these findings. 4 An ABA program primarily involves intensive behavior modification therapy, one-on-one repetitive drills, or discrete trial training by a therapist trained in this methodology, and detailed daily data collection to monitor skill acquisition. 4. Student, as of July 2013, was not toilet-trained and was unable dress himself independently. He rarely communicated verbally, and verbal communication was usually prompted and not readily understandable. He was learning basic colors, shapes, numbers, and the alphabet, among other things, and made excellent progress in doing so between February and July 2013. 5. Student claims that the District committed a procedural violation by predetermining his placement at an IEP team meeting held on July 12, 2013, which resulted in a written offer of placement sent to Parents on July 24, 2013. A procedural violation results in denial of a FAPE only if it impedes the child’s right to a FAPE, significantly impedes the parents’ opportunity to participate in the decision-making process regarding the provision of a FAPE to the child, or causes a deprivation of educational benefit. 6. A school district cannot come to an IEP team meeting with a predetermined offer of placement, as that would deny a parent meaningful participation in the IEP decision-making process. A parent has meaningfully participated in the development of an IEP when parent is informed of the child’s problems, attends the IEP team meeting, is given the opportunity to express disagreement regarding the IEP team’s conclusions, and requests revisions in the IEP. 6 Student argues that the July 12, 2013 IEP team meeting, was not a continuation of the March 15, 2013 meeting. However, this is not supported by the facts, as discussed herein. Student has not alleged that the District’s proposed offer during and after the March 15, 2013 IEP team meeting was predetermined. 7 A SELPA is often several school districts that pool their resources to coordinate services for special education students in the districts. Some school districts are their own SELPA, which is a separate entity from the district’s special education division. 8 Parents last consented to goals in an IEP from 2011. 7. On March 15, 2013, the District convened an annual IEP team meeting. The purpose of the meeting was to develop an IEP for the next 12 months, and to determine the appropriate placement for Student who was going to be transitioning from elementary school for the 2012-2013 school year, to middle school for the 2013-2014 school year. 8. The IEP team meeting of March 15, 2013, was attended by Parents; Cynthia Valle, Student’s private ABA provider; Patricia Strass, Comprehensive Autism Program (CAP) manager; Shonia Porter, District speech and language pathologist; Jenny Rhodes, District nurse; Christine Carlos, Student’s home-hospital teacher; and Shelley Ota, District coordinator for special education, acting as the District’s designated administrator. Roxy Machuca, a Santa Clara County Special Education Local Plan Area (SELPA) program specialist who assists students with disabilities when they transition from elementary school to middle school, and from middle school to high school, also attended the meeting.7 Parents waived the attendance of Student’s occupational therapist and a general education teacher. 9. At the IEP team meeting, after reviewing Student’s present levels of academic and functional performance, and progress on current goals, the team worked to develop new goals.8 The District suggested placement in an SDC, at Eisenhower, for moderately to severely disabled students in grades three through five, for the remainder of the 2012-2013 school year. However, Parents indicated that they wanted Student to remain in home-hospital instruction at home for the remainder of that school year. Parents were also given an assessment plan so the occupational therapist, school nurse, and a behaviorist could observe Student at home to further assist in developing other goals, if necessary. Parents signed this assessment plan either at the IEP team meeting on March 15, 2013, or shortly thereafter. 10. 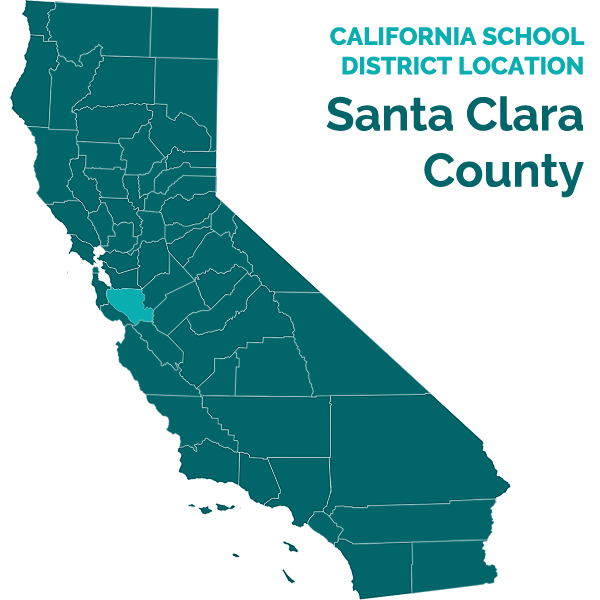 At the IEP team meeting of March 15, 2013, the District tentatively offered placement for the 2013-2014 school year in an SDC for moderately to severely disabled students in grades six through eight, that was located at Cupertino Middle School (CMS). The evidence established that at the time of this IEP team meeting, this was the most appropriate middle school classroom that would meet Student’s unique needs, and provide him with educational benefit. Ms. Machuca offered to accompany Parents so they could observe the CMS SDC. The IEP team discussed that when Student returned to a classroom setting, he would need to have a transition period because he had not been in a classroom setting since April 2012. 9 Although not at issue in this Decision, the evidence established that Parents were active participants at the March 15, 2013 IEP team meeting. They voiced their concerns, and the District team members listened to and considered those concerns. 12. Parents did not cooperate with Ms. Machuca in scheduling an observation at CMS until May or early June 2013, because they opposed the proposed placement at CMS. However, on or about June 12, 2013, the last day of the 2012-2013 school year, Parents accompanied Ms. Machuca to observe the SDC at CMS where the District proposed placing Student for the 2013-2014 school year. Student was also present, waiting outside the classroom with a Parent, while the other Parent observed the class. 13. Following the observation, Father explained to Ms. Machuca that he had several concerns about the proposed placement. First, the classroom was located at the back of the CMS campus, and Father was concerned that this would limit Student’s interaction with typically developing peers. Also, he was concerned that because the classroom was for students in grades six through eight, Student would be in a classroom with many older children. Additionally, Parents were concerned about the distance of CMS from the family home, should Student have a medical emergency. Finally, there was an electrical transformer outside the classroom, which, although it was surrounded by a chain link fence, Father believed presented a hazard to Student, if he accidently threw/dropped something into the enclosure and then tried to retrieve it, since Student has no sense of danger. 15. Father; Ms. Ota; Ms. Carlos; Smita Chandru, Student’s occupational therapist; and Hector Ruiz, a behaviorist from CAP, attended the IEP team meeting of July 12, 2013. Ms. Machuca was on vacation and did not attend this meeting. Ms. Carlos discussed her report concerning Student’s current levels of performance, based on her home instruction and observation of Student, and responded to Father’s questions during the meeting. Ms. Chandru also reviewed her observation report, and the team discussed Father’s concerns regarding a cutting goal, and a goal for Student to independently write his name. Father was concerned about the cutting goal because Student would be using scissors, and he believed Student would be unsafe using scissors. Mr. Ruiz reviewed his observation report concerning Student’s skills, and discussed effective teaching methods to use with Student to teach him certain independent skills. He responded to questions from Father. 16. The team discussed conducting a cognitive assessment of Student (non-verbal), and the proposed goals. Father asked that the proposed goals be sent to him so that he could provide further input as to which goals should be targeted in the upcoming school year. 17. Finally, Father discussed his observations of the proposed placement at CMS, and his concerns. Although not reflected in the notes from the IEP team meeting, Father asked about the possibility of Student being placed in an SDC at Miller Middle School (Miller), a school close to Student’s neighborhood, for the upcoming school year. Ms. Ota told him that she would explore that possibility and other possible placements. 18. When the IEP team meeting ended on July 12, 2013, the IEP team agreed that another IEP team meeting would be held, hopefully before the beginning of the 2013-2014 school year. At that meeting the team would discuss a one-to-one aide for Student to help him transition back into school, the possibility of a shortened school day during this transition, feedback from Parents regarding the proposed goals, and possible changes in occupational therapy and behavioral services. As previously discussed, Ms. Ota would look into the possibility of placement at another District school. 19. The evidence established that the District IEP team members listened carefully to Father’s expressed concerns about the goals and CMS placement. Ms. Ota promised to explore the possibility of placing Student at a different middle school, and the team agreed to discuss changes to goals and services at an IEP team meeting which was to be reconvened (hopefully) before August 19, 2013, the beginning of the 2013-2014 school year, when District students would be returning to school. This meeting would be held because Father indicated that it was his hope that Student would be returning to school in the District. 20. As was the case at the time of the March 15, 2013 IEP team meeting, the participants at the July 12, 2013 IEP team meeting, specifically the District participants, genuinely believed that the only appropriate SDC for Student in the District was the one at CMS. Therefore, that was still the District’s offer on July 12, 2013, and this was confirmed in a letter from Ms. Ota to Parents on July 24, 2013, that summarized that meeting and stated that Ms. Machuca would be contacting Father when she returned to schedule an IEP team meeting for August 2013. However, District witnesses all testified very credibly that the IEP was still “a work in progress,” and while the District was obligated to have a placement offer “on the table” for Student, it had not closed its mind to other placement options. 21. Following her return from vacation, Ms. Machuca contacted Father in early August to see if another follow-up IEP team meeting could be held. In addition, Ms. Ota, in anticipation that Student would be returning to school for the 2013-2014 school year, emailed Parents and specifically asked if Student would be attending CMS when school began on August 19, 2013. Ms. Ota wanted to ensure that staff was prepared to appropriately meet Student’s needs, which included understanding the medical protocols for Student in case he suffered a seizure or other medical emergency. 22. One or both of these emails led to several angry emails from Father to the District, saying things like “terrorists” had more sympathy for Student than the District. Following email correspondence between Father and Mr. Levin, Father’s anger at the District lessened, and another IEP team meeting was scheduled for August 20, 2013. 23. Student asserts that since the District did not change its offer of placement in the SDC at CMS after Father stated his objections at the IEP team meeting of July 12, 2013, it therefore predetermined the offer. However, all District witnesses who attended that IEP team meeting, and others who attended the previous or subsequent IEP team meetings, were credible and convincing when they testified that the offer of placement for Student of the SDC at CMS was not predetermined. As found above, the District did not come to the meeting with a predetermined placement offer or a take-or-leave-it attitude; the participants freely discussed Student’s needs and abilities; and Parents expressed their concerns and the District listened to those concerns. 24. There was no evidence of extensive conversations and/or correspondence between District personnel which might have been relevant to the issue of predetermination. The evidence established that District personnel listened to Father’s concerns about the CMS SDC, were open to discussing other potential placements of Student, and at the end of the meeting, Ms. Ota assured Father that she would investigate the possibility of another placement. The IEP team meeting of July 12, 2013, was then summarized in the July 24, 2013 letter from Ms. Ota to Parents. The fact that the District offer was a continuation of its prior offer of FAPE does not, absent other evidence to establish predetermination, make it a predetermined offer. And subsequent events confirmed this. 10 Although Father’s complaint in this matter was filed before the August 20, 2013 IEP team meeting, this meeting and subsequent events are relevant to the issue of predetermination at the July 12, 2013 IEP team meeting, and the July 24, 2013 correspondence, from Ms. Ota to Parents. 11 Father subsequently did visit the Lawson classroom, but decided it was not appropriate. 25. Present at the August 20, 2013 IEP team meeting, were Father; Ms. Keicher; Ms. Ota; Ms. Machuca; Ms. Chandru; Sarah Howard, CAP supervisor; Ms. Carlos; and Jenny Rhodes, school nurse, who arrived after the meeting had begun. The prior placement at CMS was discussed again. Father reiterated the concerns he expressed at the July 12, 2013 IEP team meeting, and expressed his desire that Student attend an SDC with students just at his grade-level, grade six. 26. Ms. Machuca then presented information about an alternative program at Lawson Middle School (Lawson) which had been developed and finalized at the end of the previous school year, and during the summer of 2013. This class had four students enrolled, three of them sixth graders, and one a seventh grader. As with the SDC at CMS, much of the instruction was one-to-one, with an ABA emphasis, and the teacher was a board certified behavior analyst. District witnesses testified credibly that Lawson was not brought up as a possible placement until August, because the District was not sure until August whether the SDC would actually come to exist, and be appropriate for Student. Ms. Keicher then led the team into a discussion of the possibility of an NPS for Student and Father informed the team that he was familiar with two NPSs. The IEP team also discussed a transition plan for Student when he returned to school, with Father offering suggestions. 27. Ms. Machuca offered to accompany Parents so they could visit the new SDC at Lawson.11 As the meeting ended, Father expressed a desire that Student begin a transition into CMS. Ms. Rhodes then went over the medical protocols for Student with Father, and he agreed to transport Student to CMS until bus transportation could be arranged. Student began attending the SDC at CMS in August 2013, shortly after the August 20, 2013 IEP team meeting, and continues to attend the SDC at CMS. 28. The evidence presented by Student did not prove predetermination at the IEP team meeting of July 12, 2013. Because Student did not prove predetermination, it is not necessary to discuss his suggested remedy of placement at an NPS. (2) In a letter on or about July 24, 2013? 8. Legal Conclusions 1 through 7, and Factual Findings 1 through 28 do not support Student’s contention that the District denied Parents meaningful participation in the IEP process, or that Student was denied a FAPE, because the District did not predetermine an offer to place Student in an SDC at CMS before the IEP team meeting of July 12, 2013. Rather than finalizing the offer of the SDC at CMS at the March 2013 IEP team meeting, the District wanted Parents to observe the placement, and planned to reconvene the IEP team following that observation to listen to any concerns Parents might have to see if a different offer might be more appropriate. At the July 2013 IEP team meeting, Father’s concerns about the SDC at CMS were listened to by the District team members, and Ms. Ota told Father she would see if placement in an SDC at another school might be possible. The team decided that it would meet again, preferably before the beginning of the 2013-2014 school year. The events at the July 12, 2013 IEP team meeting were confirmed in the July 24, 2013 letter, from Ms. Ota to Parents. And when the IEP team met again in August, now confident that the new SDC at Lawson might also be appropriate, the District offered to have Parents observe that classroom and consider placement there for Student, rather than the SDC at CMS. The District’s proposed IEP on July 12, 2013, was a work in progress, and Student failed to bear his burden of establishing that the District had predetermined the offer of the SDC at CMS before or after that meeting occurred. The mere fact that Father did not approve of the proposed placement does not support a finding of predetermination. Education Code section 56507, subdivision (d), requires that the hearing decision indicate the extent to which each party has prevailed on each issue heard and decided. The District prevailed on the issue decided.